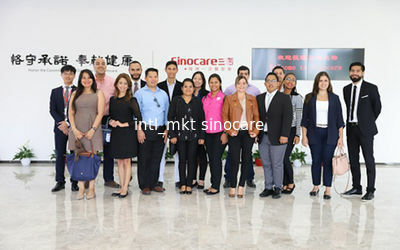 Sinocare is a high-tech enterprise dedicated to the development, production and sales of the rapid detection of chronic diseases in the use of bio sensing technology. Since its inception in 2002, has been adhering to the business purpose “Honor Commitment Dedicate to Healthcare", focus on promoting the development of diabetes health. 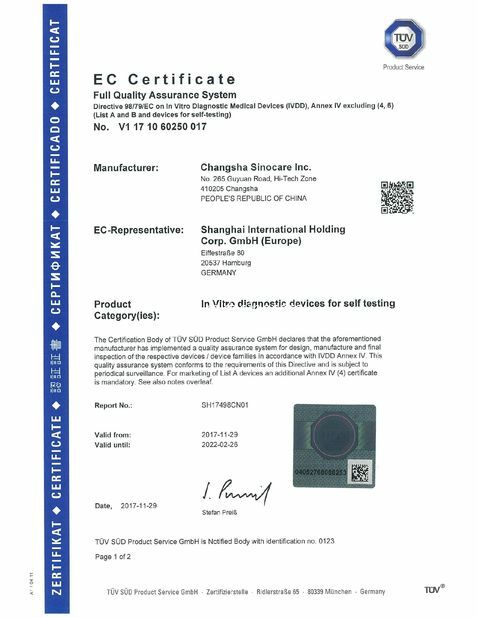 Sinocare as a national high-tech industrialization demonstration project, has won National Innovation Fund support, and took the lead through the ISO 13485 Quality Management System certification and the CE certification of EU. 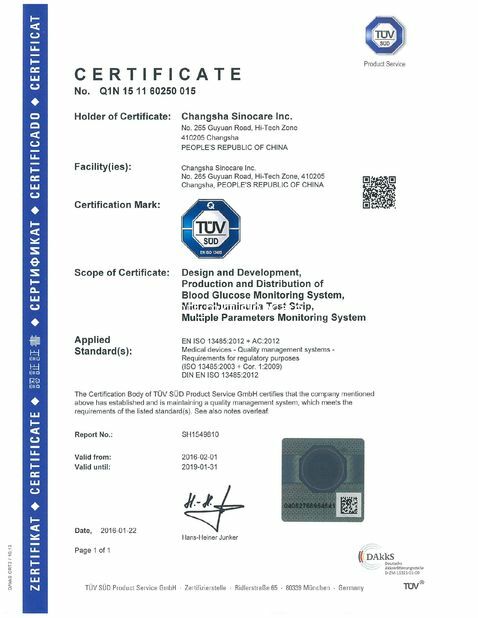 The SANNUO series blood glucose meter and a test strips, with the characteristics of the "accuracy, simple and economic", recognized by the vast number of consumers, the "Sinocare" trademark was identified as "China well known trademark by State Administration of industry and Commerce of. 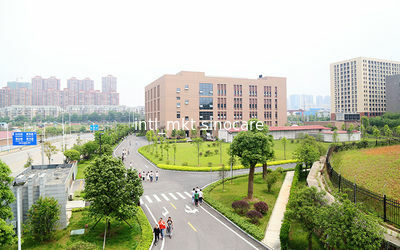 The products are not only popular in China, but also in the international market. In March 19, 2012, the company listed on the Shenzhen stock exchange gem, as the first Bio sensor stock in China. In 2015， the blood glucose meter in the domestic retail market share reached 51%, becoming the industry leader in blood glucose monitoring products, the same year was elected to the Forbes Asian small and medium companies top 200 list. 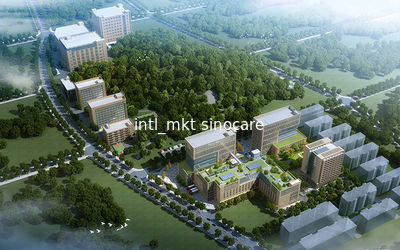 In 2014 September，Sinocare acquired Beijing Jianheng Diabetes Hospital，to step into health service area. 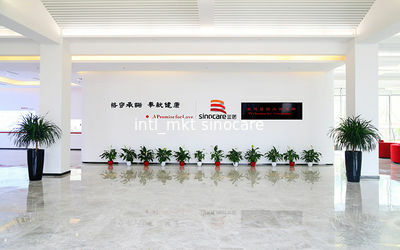 In January of 2016, Sinocare acquired Nipro diagnostic Inc. (now renamed as Trividia Health Inc.), the world's sixth BGM enterprise, and reached the international leading BGM corporation, In July of 2016, completed acquisition of PTS Diagnostics, expand the POCT testing business, to provide a more comprehensive solution for chronic disease prevention. Involved in China-Cuba Biotechnology Cooperation Framework, entering into market of Latin America. "Sannuo" trademark has been recognized as a well-known trademark in China. 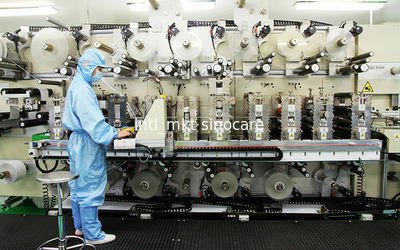 Sinocare keeps its product, technology and market leader through constant innovation. keep the marketing “consolidate the existing channels in the market, adhere to customer oriented, innovative service model." On the same time. Through the establishment of different basic research and development platform, the use of different innovative technologies to lead the research direction. In the R & D, production and sales team, we will form an innovative team, through the competition between the teams, and establish a combination of incentive and restraint mechanism to promote the emergence and development of innovation. Because of the biosensor is a comprehensive technology involving many disciplines, we need to integrate and utilize all kinds of technical resources and industry resources, and actively carry out cooperation with international professional institutions, continuous collection and integration of innovative use of various disciplines, so as to realize the complementary advantages, improve the company's technical strength and product competitiveness. Always adhere to the market demand oriented innovative applications. After the completion of product research and development, through the process of production innovation, to achieve R & D goals, to ensure that innovative R & D products can be put into use by customers. Through the organization of powerful marketing team, the promotion of innovative products to the market, to achieve rapid growth of the company. The business of Sinocare focuses on monitoring and testing of diabetes related indicators. Through the construction of bio sensing technology platform, accelerate the POCT products R & D and industrialization based on biosensor, combining the rapid development of information technology and networking technology with POCT products, continue to provide tools of detection for patients, also provide the data analysis and expert services, to realize the evaluation of disease status, and put forward the intervention measures according to the evaluation results, the formation a “detection- evaluation – intervention“ disease management system. In the product research and development aspect, through the continuous provision of the company's independent innovation capability, the company continued to continuously introduce new products to meet market demand. By increasing product variety and service types, we will continue to enrich our product mix and expand our business scope. In the sales and market aspect, through the realization of terminal coverage, channel coverage and product coverage strategy, enhance the company industry scale, improve market share, forming a complete product structure, strengthen its leading position in the industry. Improve the technical level and innovation mode of existing products and services, consolidate the leading position of the company in the industry, and build a sustained and stable profitability. In the global market aspect, explore the international market through cooperation of independent brands, develop OEM products, by maintaining good operation ability, and continuously reduce costs in developed countries;, to deliver success in developing countries by product quality and cost performance. In operation and management, through the introduction of multi-level talent, improve the company's operations management capabilities, to ensure that the company sustained, healthy and stable development and expansion. Maintain competitiveness and leadership in the industry.